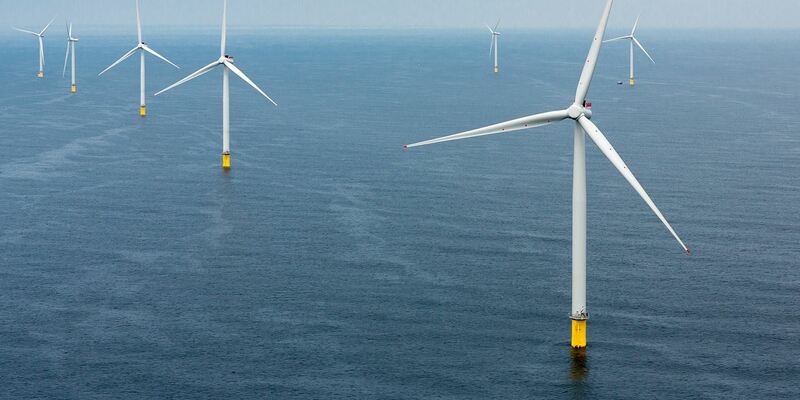 Only with the right turbine is it possible to realize the potential of extreme offshore wind conditions. 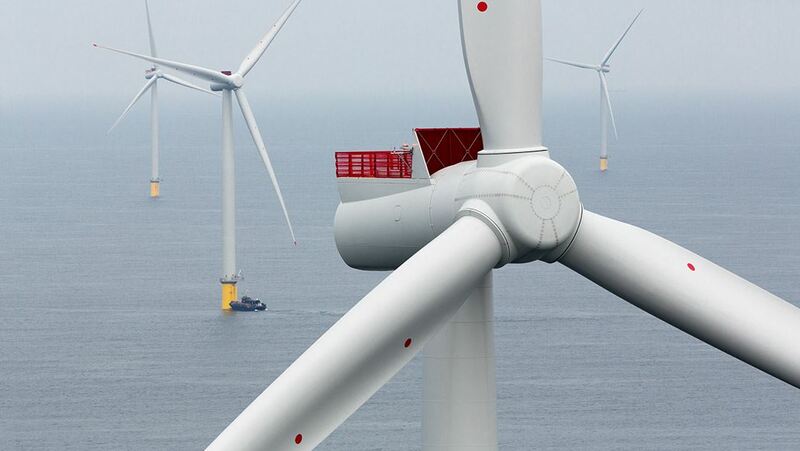 The SWT-6.0-154 has a 6 MW output and a swept area of 18,600 square meters, making it an ideal offshore solution. The SWT-6.0-154 has fewer fast-moving parts than geared machines and a tower head mass of less than 360 tons, helping to reduce installation and servicing costs, and boost lifetime energy output. 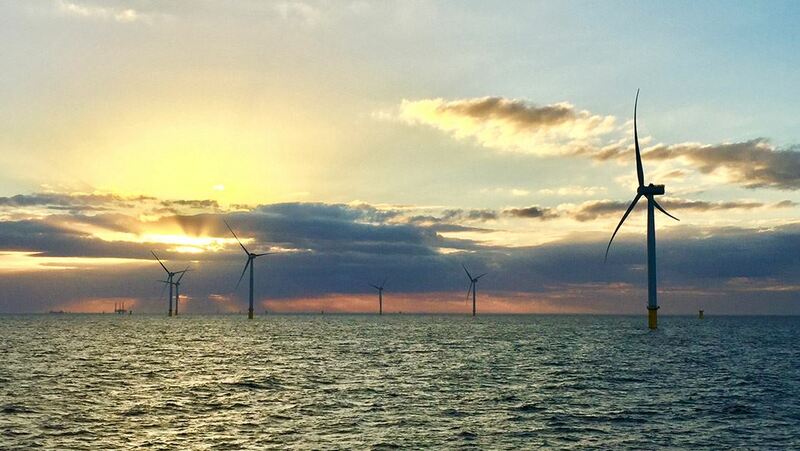 Designed to IEC1 standards, the SWT-6.0-154 has a swept rotor area of 18,600 m², maximizing energy yield from moderately windy inland waters to the most exposed offshore sites. In harsh offshore conditions, moving parts are likely to wear. 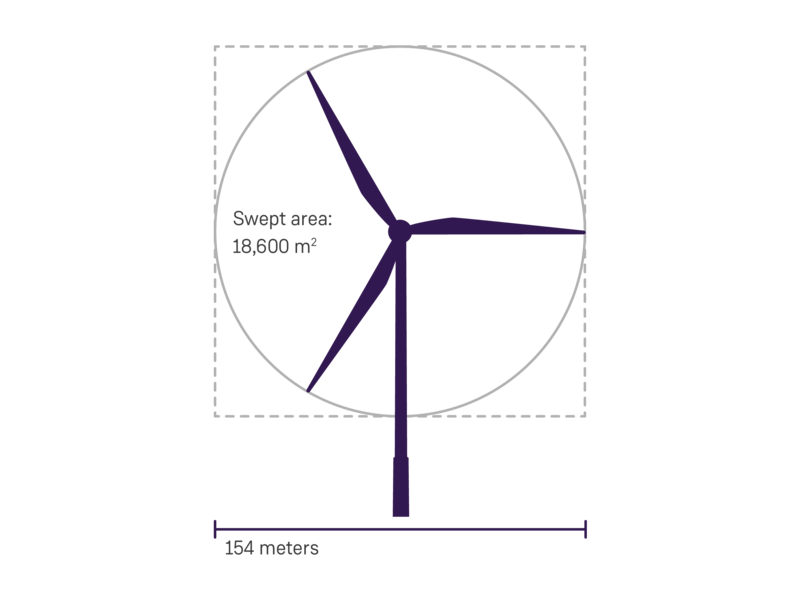 But through the application of the direct drive technology, Siemens Gamesa Offshore Direct Drive wind turbines use fewer moving parts than comparable geared machines. Besides reducing the likelihood of failures, this also means fewer spare parts are needed over the course of a wind farm’s lifetime. This unique combination of simplicity, robustness, and low weight significantly reduces infrastructure, installation, and service costs – while increasing a project’s lifetime energy output. Lower tonnage quite simply translates to greater power production at lowest lifecycle cost.